Railway Minister Mallikarjun Kharge Wednesday said the government is considering a proposal to allow the entry of foreign direct investment (FDI) in the railways for creation of infrastructure. 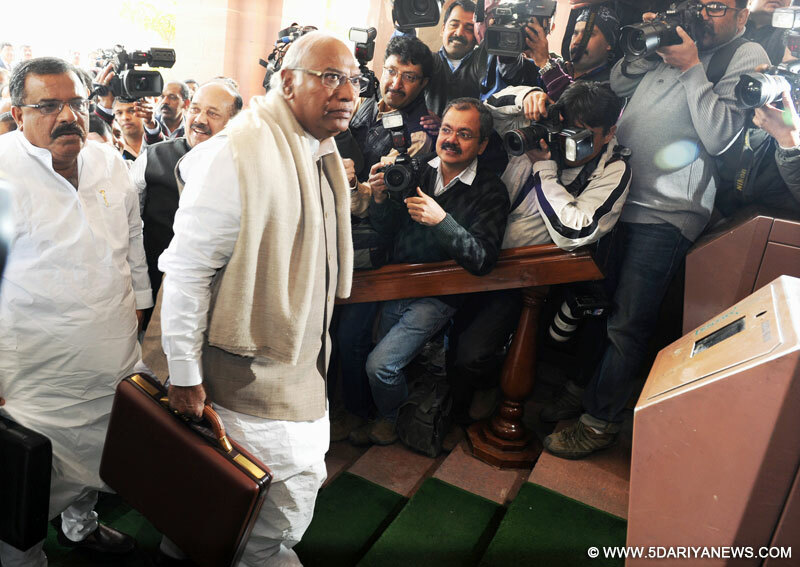 "Apart from attracting private investments from domestic investors in the rail sector, a proposal is under consideration of the government to enable foreign direct investment (FDI) to foster creation of world class rail infrastructure," Kharge said in his maiden rail budget speech.Presenting the interim rail budget for the next fiscal in the Lok Sabha, the lower house of parliament, the minister said investment in railways is being stepped up under the public private partnership (PPP).Under the PPP route, projects like rolling stock manufacturing, modernisation of railway stations and dedicated freight corridors, among other schemes, are in the pipeline in the 12th plan period. The minister added that rail land development authority, which was set a challenging target of raising Rs.1,000 crore in 2013-14 budget, is on course to completing its traget and has already raised Rs.937 crore.